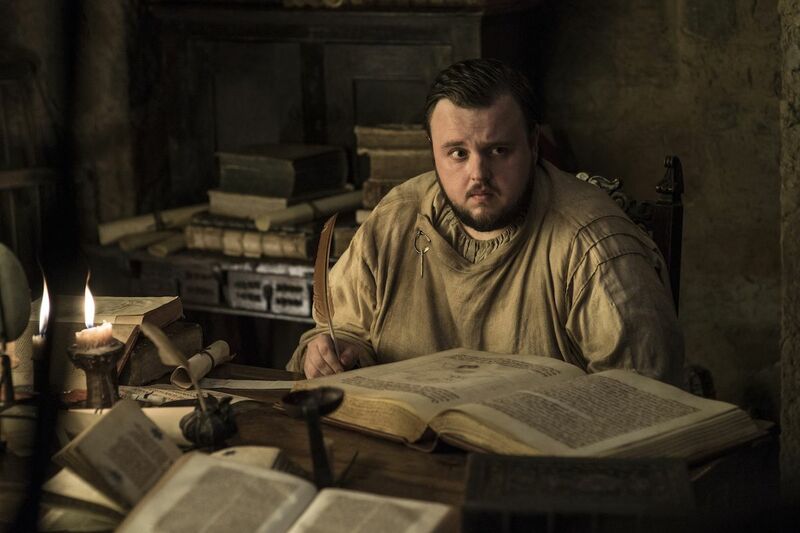 Actor John Bradley, who plays Samwell, told Collider that the driving motivation behind the question his character posed to Jon, and behind telling his pal about his true identity, was learning what Dany did to the Tarly men. When Samwell received the information about his family from Daenerys (Emilia Clarke) it was delivered by the queen in a very matter-of-fact emotionless, manner. Samwell had to process (1) the realization that Dany killed his father, Randyll Tarly, and then (2) deal with learning she also killed his brother Dickon. Dany’s decision to stand there silently as Samwell tried to process the news, made for a big moment. “That really helped me. 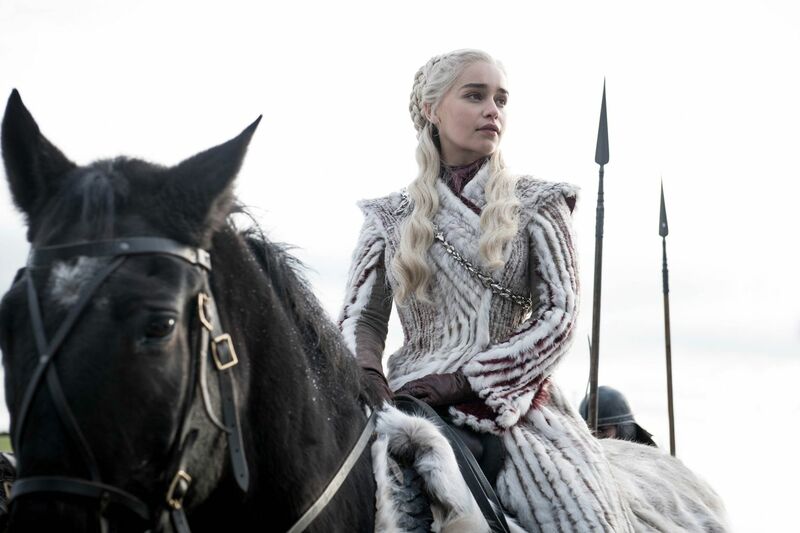 Emilia’s approach to that scene and approach to her character and the way she embodies her character at this point in the narrative – that really facilitated my playing the scene the way that I wanted it to, because the last thing that I wanted to do was burst into tears — immediately burst into tears instantly and be melodramatic, and be kind of back of the hand on the forehead kind of stuff,” Bradley explained. Bradley revealed the script said, “‘Dany tells Sam this, and then Sam is upset and starts crying. '” He wanted to make sure the moment, though only a few seconds, felt long, just as those moments did for his character. “I wanted to play as many different [flashes] of emotion across his face as I possibly could at that moment. I wanted to get the impression across that he’s having a breakdown and his brain can’t cope with all this deluge of emotion that he’s feeling at this one moment in time … anger, and the grief and the sadness and the sense of injustice – and also the fact that he has to maintain a certain degree of composure because he’s talking to the Queen,” Bradley recounted. It’s a tough moment to watch as the Queen tells Sam what happens but makes no apologies for her actions. “That was the very first thing shot on Season 8, that scene. And it’s a tough one to start with, but David [Nutter] was wonderful and Emilia and Iain [Glen] – I’ve worked with Iain before, but never Emilia. They’re wonderful scene partners. … It was just a great environment to play something that tough. It was a very tough first day … David Nutter is so compassionate and so lovely. And Emilia and Iain, they were both so wonderful and yeah, it was good one with start with, straight in at the deep end really,” he said. 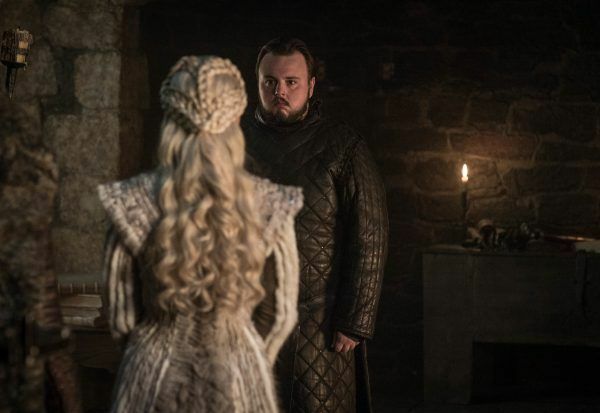 While Samwell was caught up in emotions after learning about Dany’s decision regarding his family, it’s worth wondering if the character recalls one of her other acts. Back in Season 5, Samwell shared with Maester Aemon the knowledge that came on a scroll about Dany staying in Slaver’s Bay, despite trouble with the masters, to free the slaves. So finally, could Dany do anything to get him on her side? Unsurprisingly, the answer is no.